Dalyn has over 20 years of marketing experience that spans the IT, telecommunications, consumer and nonprofit industries, and is a recognized leader in building high performing channel programs. Her specialties include partner marketing, demand generation, development fund programs, sales and marketing enablement and go-to-market strategies. Prior to joining Comcast, Dalyn was a principal consultant at The Optera Group, where she led the Technology and Channel practice, managing consulting engagements with the partner organizations at VMware, Avnet and Hitachi. 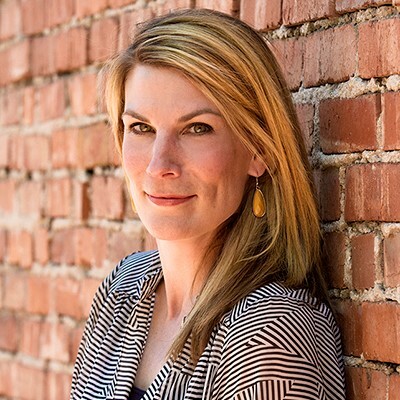 In addition, Dalyn has worked on and built partner programs at leading technology companies including GE Access, CompTIA, StorageTek and Level 3 Communications. Dalyn has been recognized for her leadership in the channel and was recently awarded the LEAD award by Women in the Channel (WiC) and has repeatedly made the CRN Power 100 List. In addition, she was honored with the prestigious TAMI award by CTAM for her leadership in projects to advocate and further the cable industry. I love working with our partners and helping them with their marketing goals and providing them the support and resources to help grow their Comcast business. Everyone at TBI is wonderful, but I am especially fond of the amazing marketing team. I love their energy, innovation and creative ideas, it is always fun to brainstorm and collaborate with the whole team! Don't go to a meeting and sit in the corner, be a participant (… and always wear sunscreen). Northern Michigan, there is nothing better than watching the sun set over Lake Michigan. Connect with Dalyn on LinkedIn.